First and foremost, HAPPY THANKSGIVING EVERYONE! Hope you all get to spend your Thanksgiving with family, friends, and loved ones. Thanksgiving always rings in the holiday season for me and I'm always very excited for December. Nothing much on the beauty related front to post about but I might as well show you the holiday appropriate polish I am currently wearing. Yes, it is another polish from the Sephora Manhattan Minis Collection. 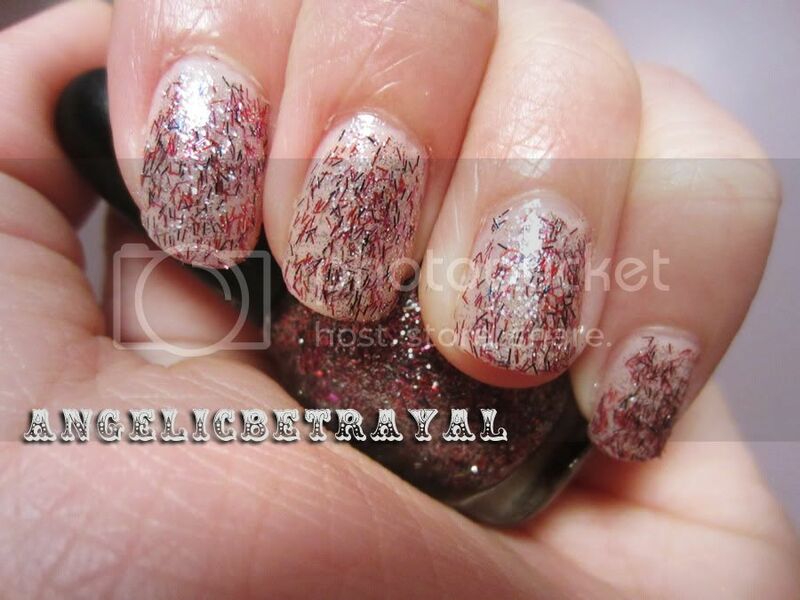 As you can tell by the title of this post, this polish is called The Sparkle That Never Sleeps and it is red and blue confetti and silver glitter suspended in a clear base. I thought this would be a nice layering polish as I don't like the white tips of my nails peeking through my polish (the tips of my nails have been abnormally white for my whole life). I first applied two coats of ORLY's First Kiss, a very light pink, and then applied two coats of The Sparkle That Never Sleeps. The sparkle was nice and from afar the shimmer is very flattering. I wish there more flecks of confetti but that's just my preference.